The Bottle Opener kits are fun to make and a useful accessory for any kitchen, bar, or barbecue. They use a single 7mm tube and the bushings listed below. Available in a 24k or Chrome finish. 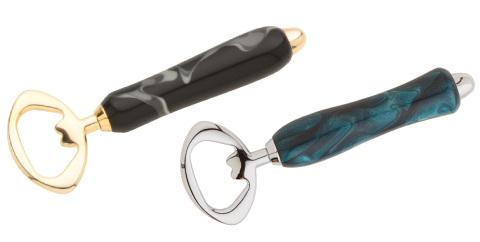 This new design for a bottle cap opener (below right) from Ruth Niles will stand up when not in use. 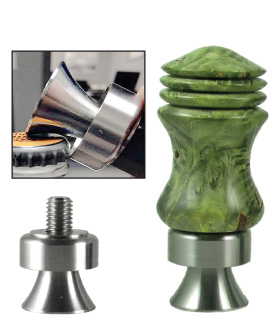 It is turned using the Niles Bottle stopper Mandrel offered below.